The aging population has a big drug problem—prescription drugs that is. “Polypharmacy is a huge problem in our society,” says Stephen Sinatra, M.D., F.A.C.C., an internationally renowned cardiologist and author of, “The Great Cholesterol Myth”. 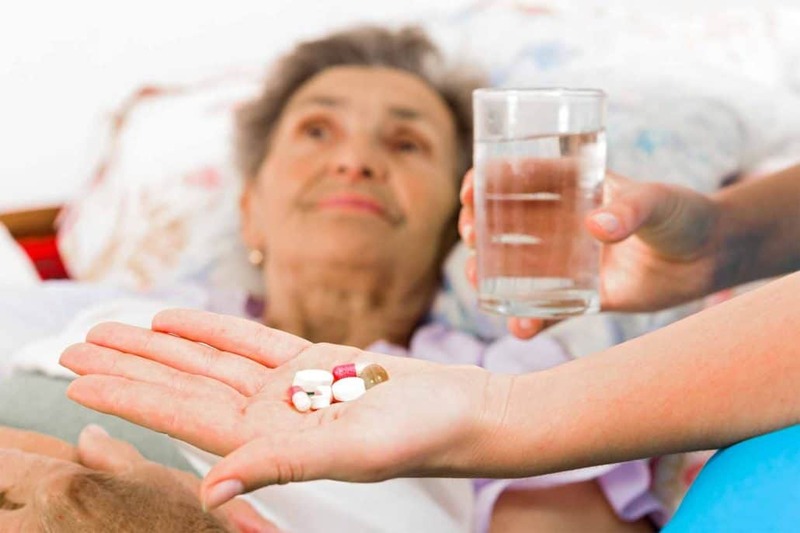 According to Sinatra, elderly patients are often put on five or more medications at once and it’s no surprise that they develop serious side effects. Sinatra’s sentiments were recently echoed by other cardiac experts, during the annual scientific sessions of the American College of Cardiology (ACC) held in San Francisco, Reuters Health reports. Several specialists expressed their belief that removing less-effective drugs from the list of typical medications given to people with heart disease may, in fact, improve their overall health and wellbeing. Why do doctors dispense so many heart medications? Over one-third of people aged 60 and older take at least five medications per day to help manage everything from high blood pressure to arthritis, according to the US National Center for Health Statistics. Taking multiple drugs is particularly prevalent in patients suffering from heart disease. Cardiologists put their patients on so many different medications because each drug performs a different, yet important, function according to Sinatra. One drug could be used to treat high cholesterol, another to stabilize blood sugar, another to normalize blood pressure, and yet another to manage an irregular heart rhythm. Other experts are more sceptical. Krumholz tells Reuters Health that the benefits of certain commonly-prescribed medications may be exaggerated, or misunderstood, even by health care professionals. For the 60-plus set, statins to lower cholesterol are the most commonly-prescribed medication. Nearly 45 percent of seniors take statins, according to the US Center for Disease Control and Prevention. There’s a good deal of disagreement in the medical community as to whether all of these prescriptions are truly necessary. One study, presented at a recent ACC conference, found that 70 percent of doctors would suggest a statin to a person who was extremely unlikely to develop heart disease. When presented with the case of an unconventional patient who actually stood a chance of benefitting from a statin, fewer than half of the doctors surveyed by University of Michigan researchers said that they would prescribe it. Study authors concluded that doctors were not accurately assessing a person’s true cardiac risks when making their medication recommendations. Weighing the risks and benefits of such a widely-prescribed drug can be tricky. The true value of statins has been a point of contentious debate for years. People with normal cholesterol levels may derive some benefit from statins, but research indicates that taking these drugs is unlikely to alter their risk for having a sudden cardiovascular event, such as a heart attack or stroke. Statins seem to only successfully guard against these events in individuals who have large amounts of calcium plaque build-up in their arteries. As with all drugs, heart medications carry their fair share of side effects. In addition to the increased risk of negative interactions with other prescriptions, Sinatra points out that the majority of heart medications can cause nutrient depletion. For example, statins and beta blockers (another common heart medication) may lower a person’s coenzyme Q10 levels—a chemical that is needed for cell repair and growth. According to Sinatra, having too little coenzyme Q10 can have negative consequences on a person’s overall health. Beta blockers also decrease melatonin levels, which can lead to sleep disruptions, while ACE inhibitors (taken to manage high blood pressure) can deplete the levels of various important minerals. However, there are steps you can take to prevent medication related problems. If taking too many prescriptions is compounding a person’s pre-existing health issues, it may be time for them to engage in a frank discussion with their doctor regarding the necessity of each medication. Sinatra urges caregivers and seniors alike to take a group approach to tackling health care decisions, treating their relationship with their doctor as a partnership, rather than a dictatorship.